Every two years, the data we generate roughly doubles. By 2015, the total worldwide cumulative digital archive capacity is projected to be at 300,000 petabytes. As the amount of information we generate grows, and as our relationship with information grows more complex, the race to innovate new products and services to help us harness information, manage it, and tap into it more easily intensifies. 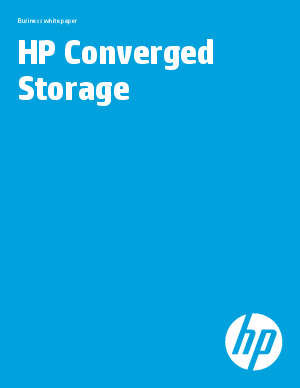 This paper discusses the continuing development of HP’s strategy for delivering Converged Storage that improves the ability of your business to capitalize on information.